This 2015 Tesla Model S P90D may have more miles than any other Tesla on the planet, but how did it get there? 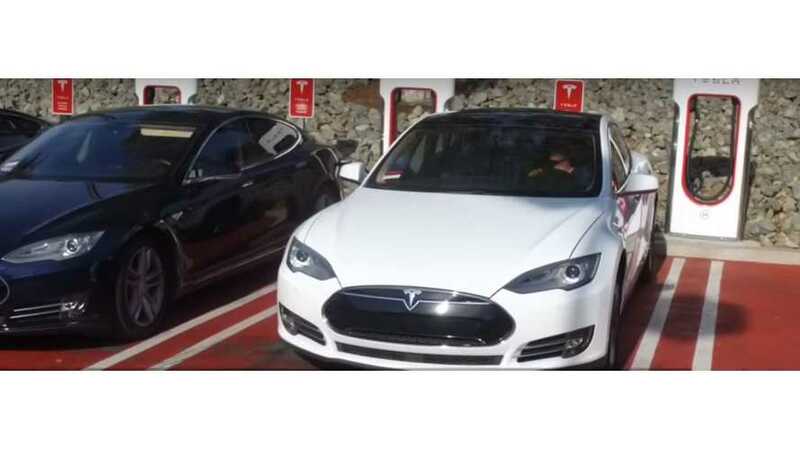 We've reported about Tesloop's high-mile Model S in the past. At the beginning of 2016, after less than a year in service, the car hit the 100K-mark. Not long after that, it passed 200,000 miles, with just over a year of service under its belt. Tesloop provides shuttle service in California, so it's not hard to accumulate miles quickly. Tesloop's "eHawk" Model S averages about 17,000 miles each month, most of which are driven using Autopilot. According to the company (via Teslarati), maintenance costs have added up to less than five cents per mile. Over the course of three years, Tesloop has spent about $19,000 on servicing the car. The total may sound like a lot of money, especially when considering $12,200 for scheduled maintenance and $6,500 for repairs, but it pales in comparison to other luxury cars. Based on Tesloop's estimates, a Lincoln Town Car could cost you about $88,500 to maintain over 400K miles, while a Mercedes-Benz GLS class could set you back nearly $100,000 in repair costs to travel that many miles. These estimates approach 22 to 25 cents per mile. The original drive unit must have been faulty since it was replaced so quickly. Fortunately, it was under warranty. The replacement unit has gone the long haul with no issues, achieving a whopping ~364,000 miles thus far! Tesloop also opted for upgraded seats to better serve its customers. While this is included in the above maintenance costs, it wasn't necessary. Nonetheless, the seats have lasted several years with 1000s of customers riding in the vehicle. Vehicle connectivity is about to transform the car ownership and user experience. We are close to the point where increasingly sophisticated autonomous driving features and deep connectivity are coupled with electric drivetrains that last hundreds of thousands of miles, a whole new approach to mobility can be offered, that will transform the economics of car ownership and usage, while offering a greatly superior customer experience.